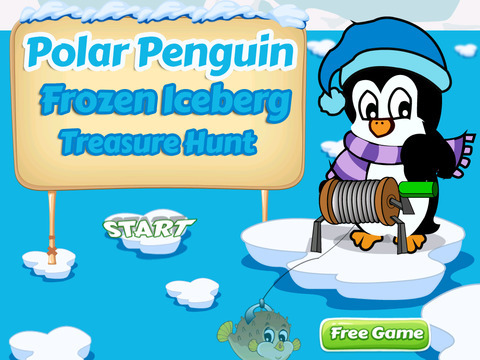 Polar Penguin is hungry, but he needs your help in catching some fish for tonight's dinner! 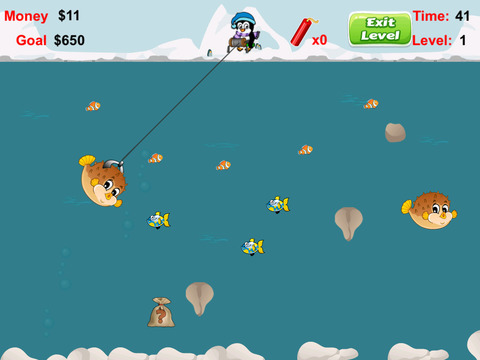 Use the crane and fish grabber to catch some fish; earn some play money and advance to the next level in this frozen, deep-sea fishing game! 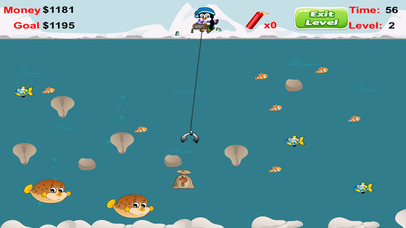 When the game begins the Penguin's fish grabber will swing back and forth over the fish below the ice. 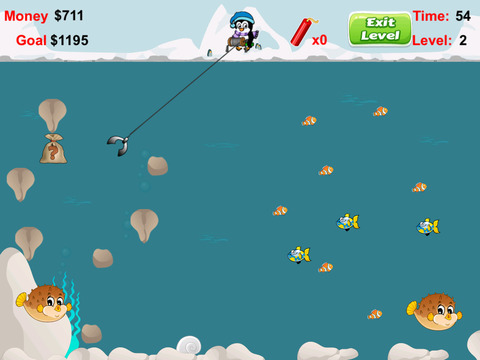 Tap to send the grabber to the ocean floor and try to grab a fish. 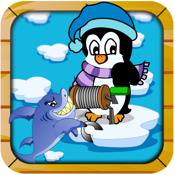 If you catch a fish, Polar Penguin will reel him in. Each fish (based on size and depth caught) is worth play money! You must reach your money goal within the time limit for each round. The timer is located in the top right corner of the playing screen. If you reach your goal, you'll advance to the next level! Large fish (and fish swimming near the bottom of the ocean floor) will take up more time to catch. However, they will be worth more points. Catch bags of money, diamonds and other gems for bonus points! However, watch out for the TNT which can blow up your catch! - Simple to learn game! - Funny fish to catch. - Cute graphics and game music. - Game description has been translated in several languages. You can follow us on social media for new games and updates.